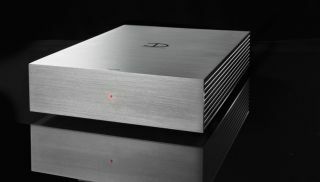 Densen Cast Amp is the company's first streamer | What Hi-Fi? Densen has released its first streaming device, and it packs some mightily impressive tech. The Cast Amp uses Google's Cast streaming tech, which means it will be compatible with services like Tidal and Google Home without any hiccups. It also boasts a unique internal power amplifier. This is a scaled-down version of the upcoming B-390 power amp which will arrive towards the end of this year, and which has apparently been 15 years in the making. Because the internal amp delivers 2 x 60W in 8 ohms and 2 x 120W in 4 ohms, it can also be used as a standalone power amp with a 5V trigger. The Cast Amp's non-magnetic casing decreases magnetic distortion, while also doubling as a heatsink so the device won't overheat. Densen is so confident it'll last that it includes a lifetime warranty. The Cast Amp is available now from Elite Audio, and costs £2,895. Not cheap, certainly, but we're hoping the truism 'you get what you pay for' applies here. Oh, and it also comes in this slightly sinister woodland design, which can you see above.